Do you find yourself regularly searching through your emails trying to find information from your project foreman that you know you read, but just can’t remember what exactly it said? Think about how much waste this activity contains. Can you imagine if you were organized in a way where you could dramatically reduce the number of times you have to rummage through your email folders? Or even better, can you imagine if all of your project information was in one location where you could collaborate with the team and keep everyone in the loop on everything that is going on at that specific site in real time? Jenco began searching for a way to improve our communication on individual projects without adding to the daily email chatter. In fact, we’ve been trying to reduce the number of emails we send and receive altogether. We were introduced to FieldLens, a relatively young company that has a goal to create a better way for project collaboration. One of the big problems we’ve ran into with emailed requests is that there is no easy way to hold people accountable. For example, if I send an email request to Will asking him to contact Johnny by Tuesday, there is no built in trigger for me to follow up with Will on Wednesday when I haven’t heard back from him. Even worse, there is no built in feature that tells Will that he let this request go past its due date. Using FieldLens you can create individual projects for tracking all the communication of your team in the form of observations and tasks. With the actionable items (tasks), there is a two-step verification that requires the original requestor to confirm that their task was completed before it leaves the project view. So using the example above – I set up a task to call Johnny and assign it to Will with the deadline of 4PM Tuesday. If Will is awesome and calls Johnny right away he can enter in his notes about the call and click complete. I then would receive a notification that Will says his task is done and if I agree, I can go ahead and close the task. All closed items are archived for later review and all items are visible to the entire project team. Now, if Will let the task go past the deadline the task would show up in red so he and I both know that it’s past due – triggering a follow up. Through our use of FieldLens on a trial project, we quickly noticed the benefits and the savings that resulted. Much of the waste that occurred with email communication was eliminated and our Project Managers could provide more effective support to the foreman. The initial feedback was so positive that we’ve since rolled out this tool on all active jobsites. We are excited about the possibilities that FieldLens brings and we are interested in getting our clients and other local trades involved. FieldLens was designed to be a collaboration tool not only for internal needs but for trade coordination as well. The amount of waste that could be reduced if everyone jumped on board is astonishing. Now I challenge you, take a minute to try and identify the waste in your daily activities. If it’s similar to our story above, give me a call and I’ll share with you the progress that we’ve made through these innovative tools. 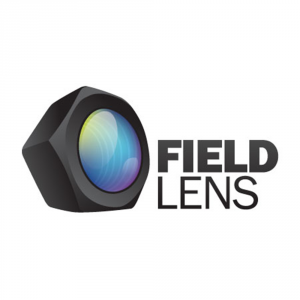 We are looking to add a few vendors and customers to FieldLens so they can help us broaden the use of this powerful tool to eliminate waste exponentially. If you’re a Jenco vendor or customer, please give me a call to discuss how we can do a pilot project to see how this can help the both of us. ← What’s it mean to be a team?